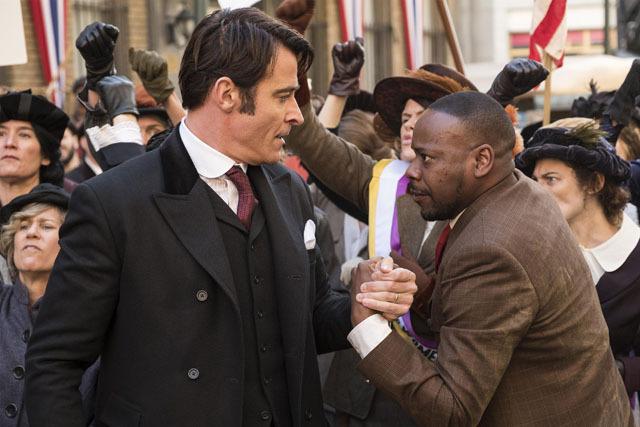 Mason (Joseph Paterson) made his first journey in the Lifeboat on the latest episode of Timeless. 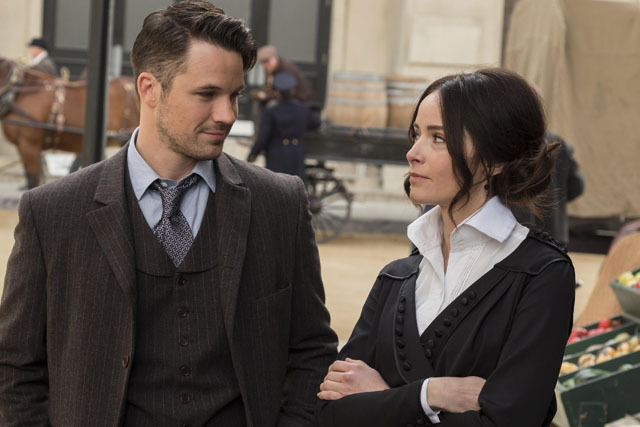 Following the Mothership, Lucy (Abigail Spencer), Rufus (Malcolm Barrett), Flynn (Goran Višnjić) and Mason went to San Antonio, Texas on November 23rd 1936. They had to save Robert Johnson (Kamahl Naiqui) so that rock and roll would be preserved. A Rittenhouse sleeper agent killed Johnson’s producer throwing the legendary musician’s legacy into doubt. Mason killed the agent and was convinced by Rufus to produce Johnson’s album so that history stayed the same. Wyatt (Matt Lanter) was held back and went on a mission, guided by Agent Christopher (Sakina Jaffrey) to try and raid Rittenhouse’s headquarters. Once there he came face-to-face with Carol (Susanna Thompson) but couldn’t bring himself to kill Lucy’s mother. Meanwhile Lucy and Flynn began to bond and shared vodka in his room after returning from their mission. Elsewhere Jiya (Claudia Doumit) told Rufus she had a vision of him dying. The next episode of the season is Mrs Sherlock Holmes. 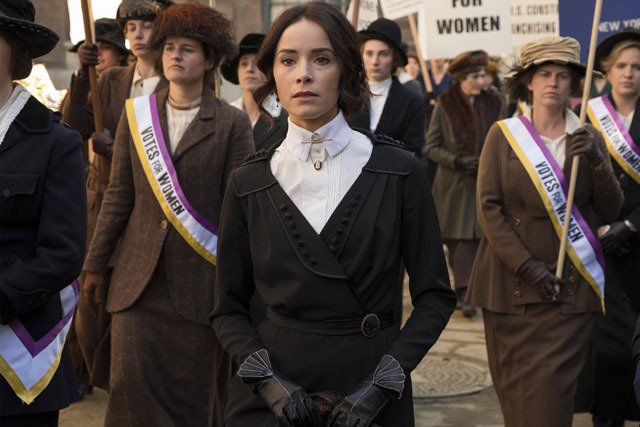 The team travel back to New York City in 1919 to help a leading figure in the women’s suffrage movement who has been framed for murder.